This complex whiskey is well deserving of its position as first in our line of Brewery Collaborations, for this is a truly unique spirit. For this bold project, we partnered with local Alpha Brewing Company here in St. Louis. They make an Imperial Smoked Black Ale (ISBA) that is delicious, provided that you love big flavorful beers… and who doesn’t?! Under the watchful eye of Alpha’s brewers and with the help of more than a few of their beers, we brewed this ISBA beer at our distillery and then double distilled it into a whiskey, which we’ve been aging in a new, charred American Oak barrel. The whiskey was very interesting right off the still, but in the oak barrel, the smoke re-emerged along with a delicious malty-fudge taste to make it, unlike anything we’ve yet produced. We’re releasing this collaboration as a 4-Pack of 12oz bottles. So you’ll get (1) bottle of the whiskey and (3) bottles of the beer (which was aged in our used RallyPoint barrels!). 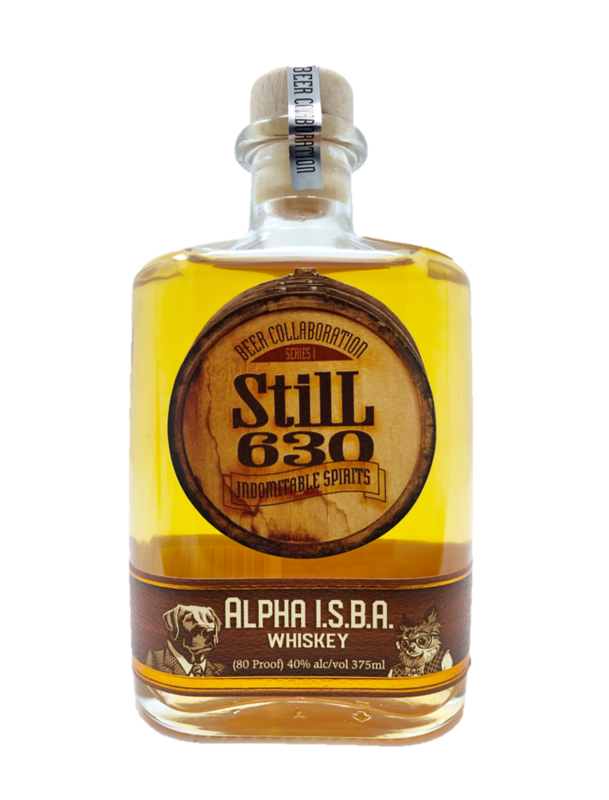 And, frankly, because this business is awesome and I’m in charge, we decided that since both Alpha and StilL 630 have furry mascots, we’d feature them on our label!